Paslode manufactures their nails from top quality steel. They drive straight and true, regardless of the timber density. 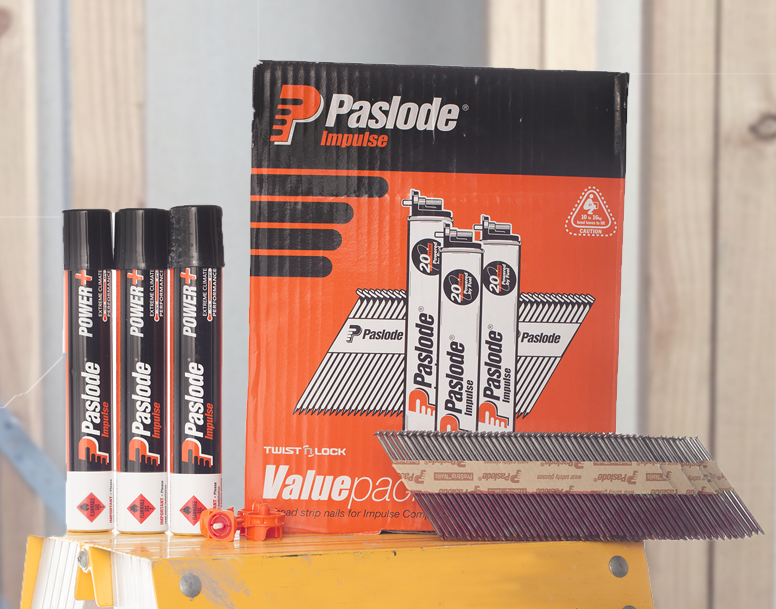 The Paslode product design ensures ultra high withdrawal resistance. While the superior collation keeps the nails aligned and firing at speed. (AS3566) was introduced in 1988, amended in 1990 and ratified in 2002. It currently lists four classes of corrosion resistance. Electromagnetic Galvanising uses electrolysis to draw zinc and chromate onto the surface of bright steel. The result is a thin galvanised layer with a smooth finish, typically up to 10μm (microns). Nails are coated with zinc by peening powdered forms of the desired coating onto the surface of the nails. Similar to Hot Dipped Galvanising, the zinc coating is applied by immersing a solid continuous wire feed in molten zinc. A corrosion resistant zinc/iron alloy coating with a uniform thickness of 40μm microns. Armor Galv nails are suitable for exterior applications where a traditional HDG or M/Galv fastener is specified. Nails are dipped into hot melted zinc until a surface layer of minimum 50μm of zinc has been created. The thickness of the zinc layer varies from minimum 50μm to typically around 80μm.